The tiny, 12-pew St. Peter’s Catholic Church is located on an oceanfront setting on Ali’i Drive in Kailua-Kona on the Big Island. 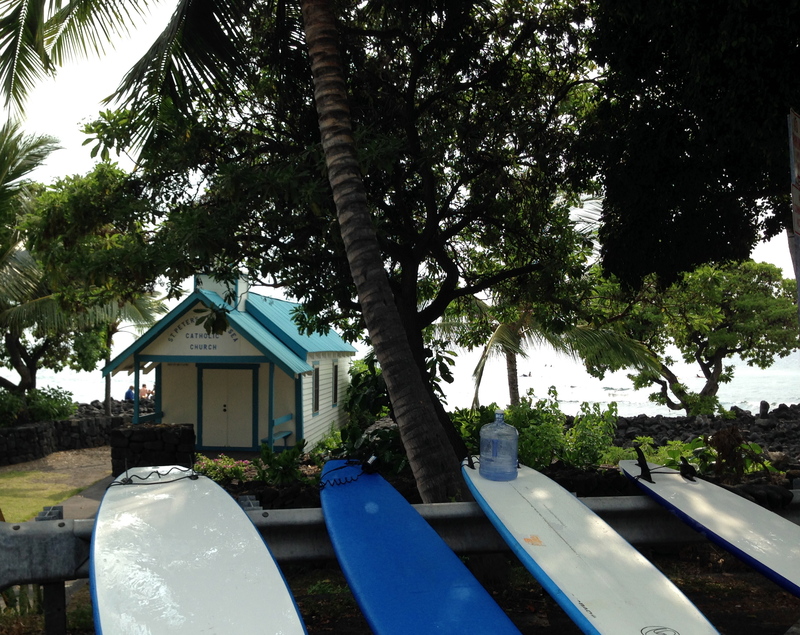 The church’s setting is a peaceful piece of land, in front of a popular surfing spot. The church’s website explains that it was built in 1880 and moved to its current location in 1912, and has been pushed off its foundation twice by hurricanes . Today, it is as welcoming of a presence as ever and the street in front of it serves as an aid station for the Ironman World Championship, which will be held on Oct. 11 of this year in Kailua-Kona.